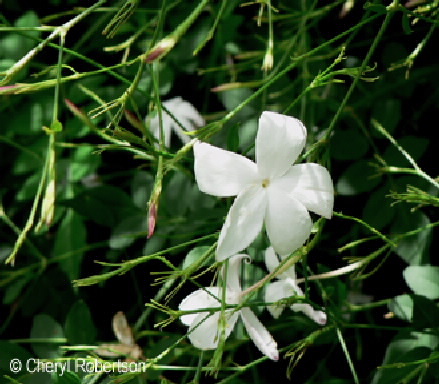 This vine with white, perfumed flowers is growing over the wall at Biological Sciences. 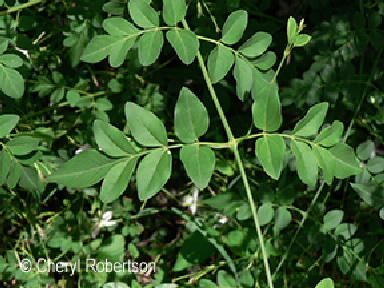 The opposite leaves vary from being compound leaves with about 4 pairs of leaflets to simple leaves that are not divided. The flowers have a long thin tube (about 2 cm long) and the 5 lobes of the corolla are spreading, the 5 prongs of the calyx remain erect even after flowering. Flowering October through to January.